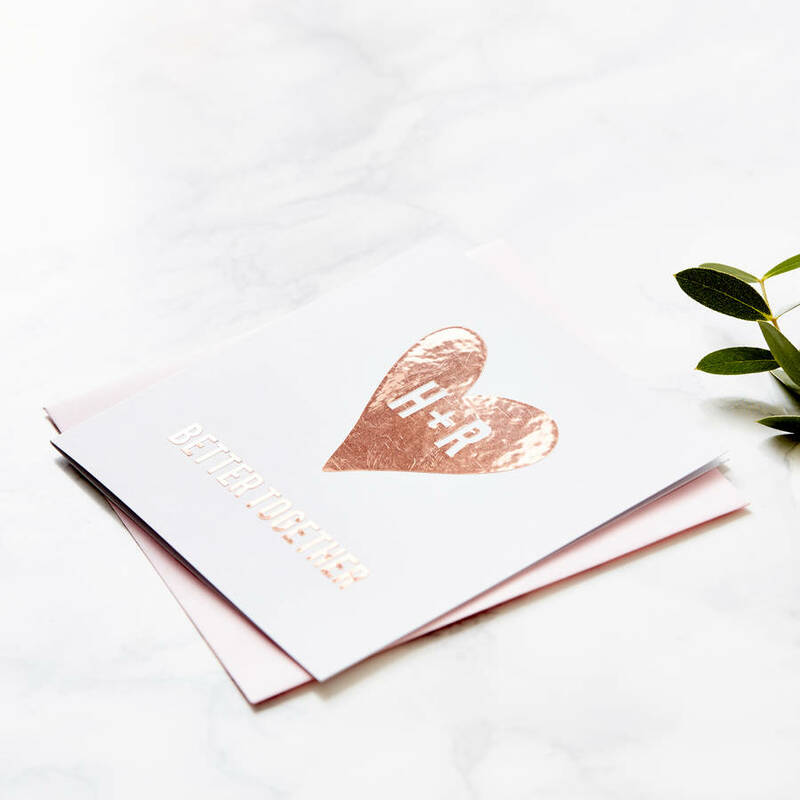 A beautiful Metallic Personalised Heart Card, a wonderful keepsake to give to someone special this Valentine's Day. 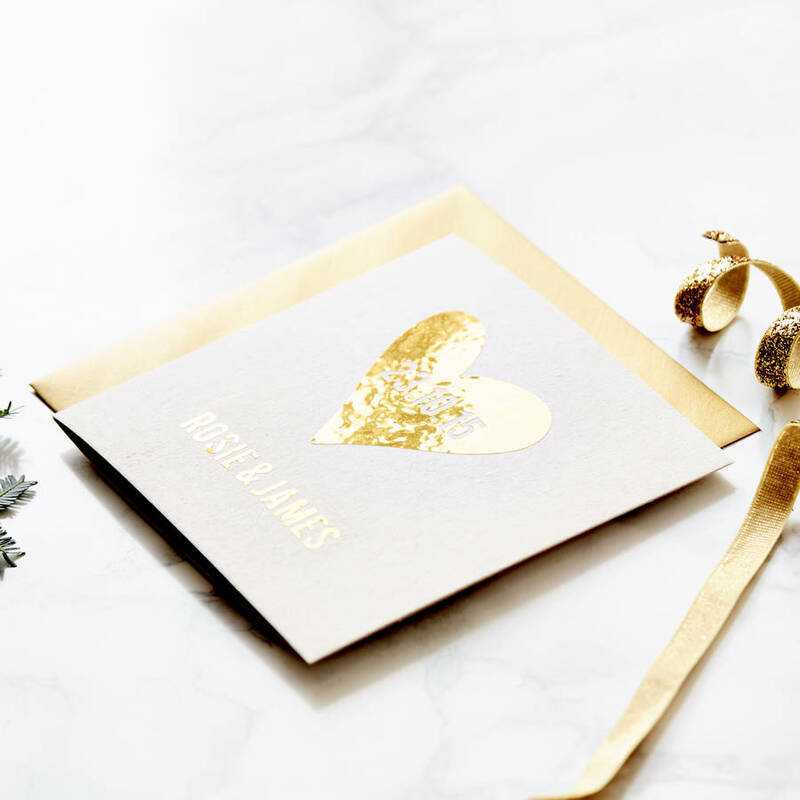 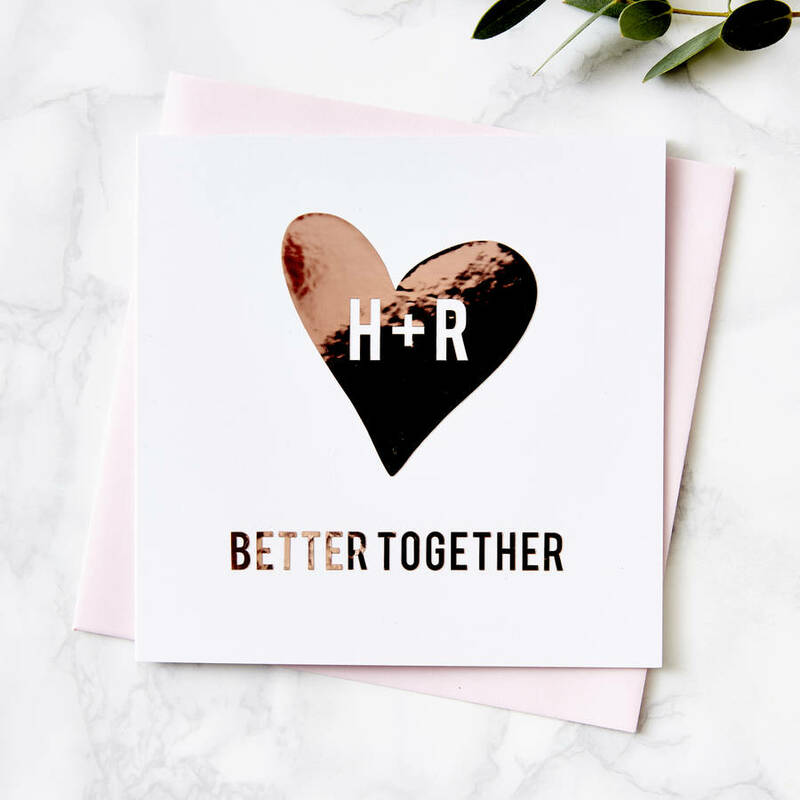 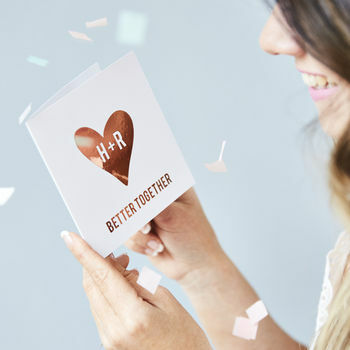 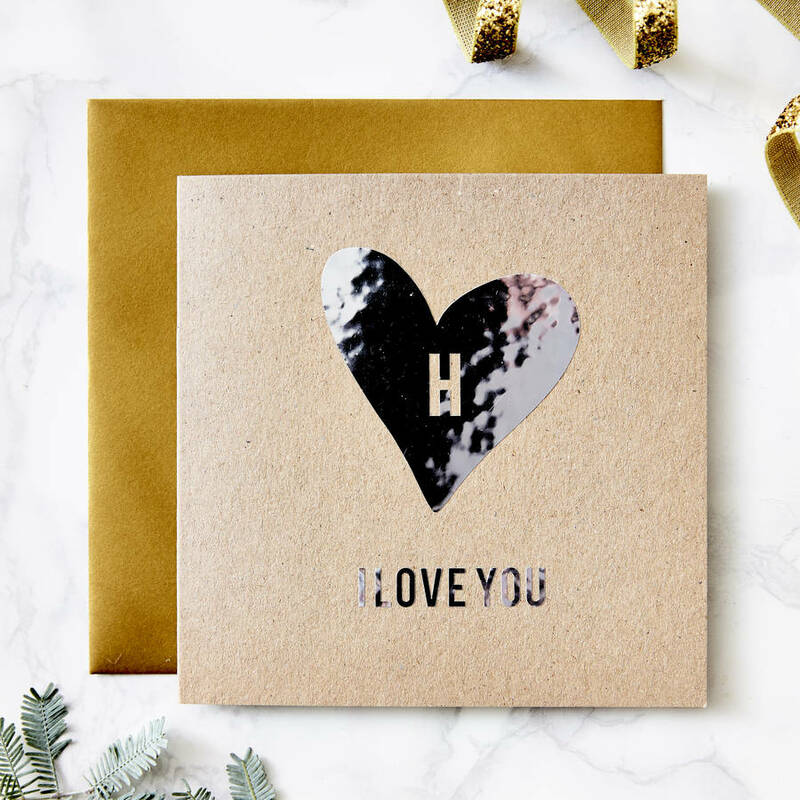 Featuring a stylish metallic heart with your chosen initials inside, this card is the perfect way to send a little love to someone. Create a special personalised card that can be treasured and admired for an Engagement, Anniversary or House Warming. 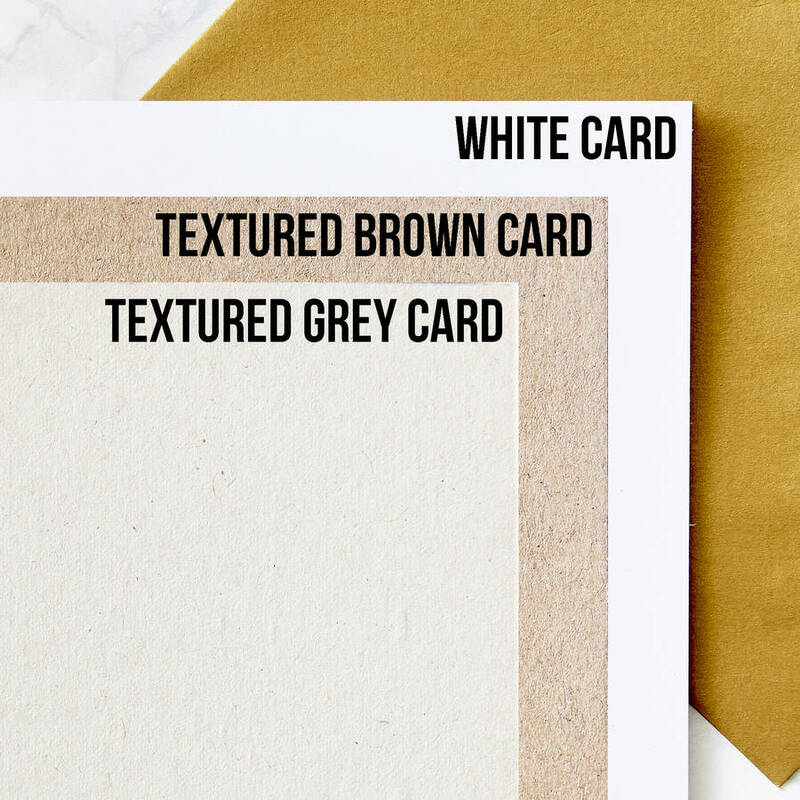 To order simply select the colour combination you would like and let us know your personalisation to create this stunning unique card. 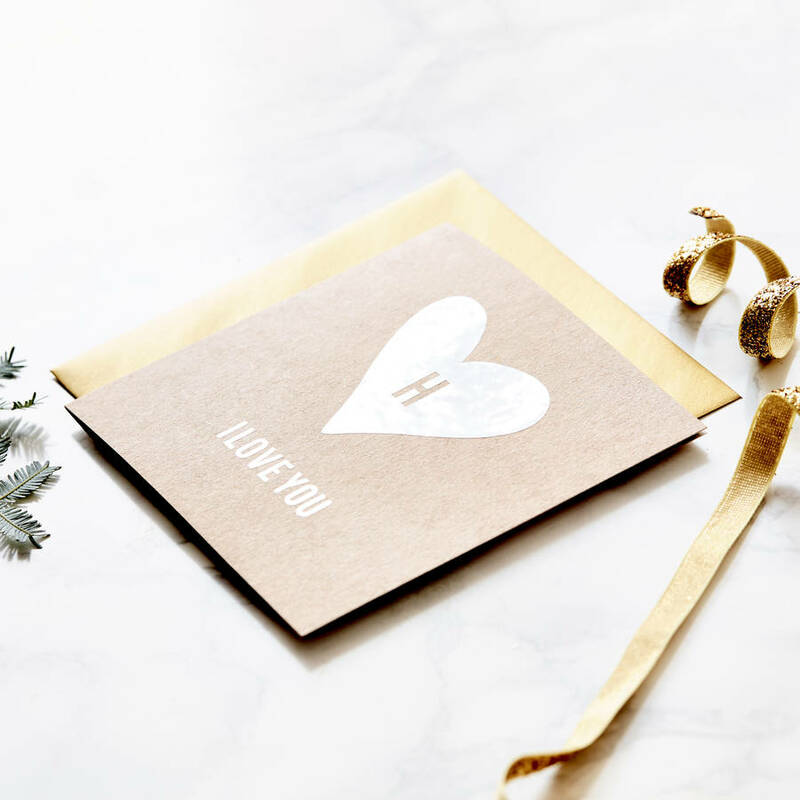 These make a thoughtful card for all occasions, Birthdays, Weddings, Anniversaries, Valentines, Christmas, or a perfect treat for that special friend or family member. 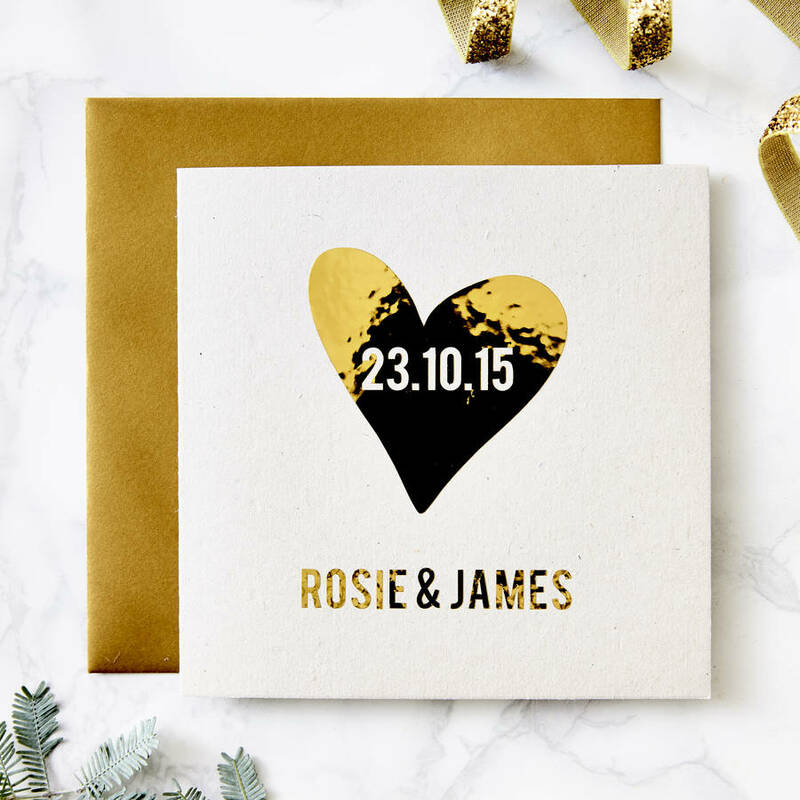 Our beautiful personalised cards are square and measure 12cm x 12cm. 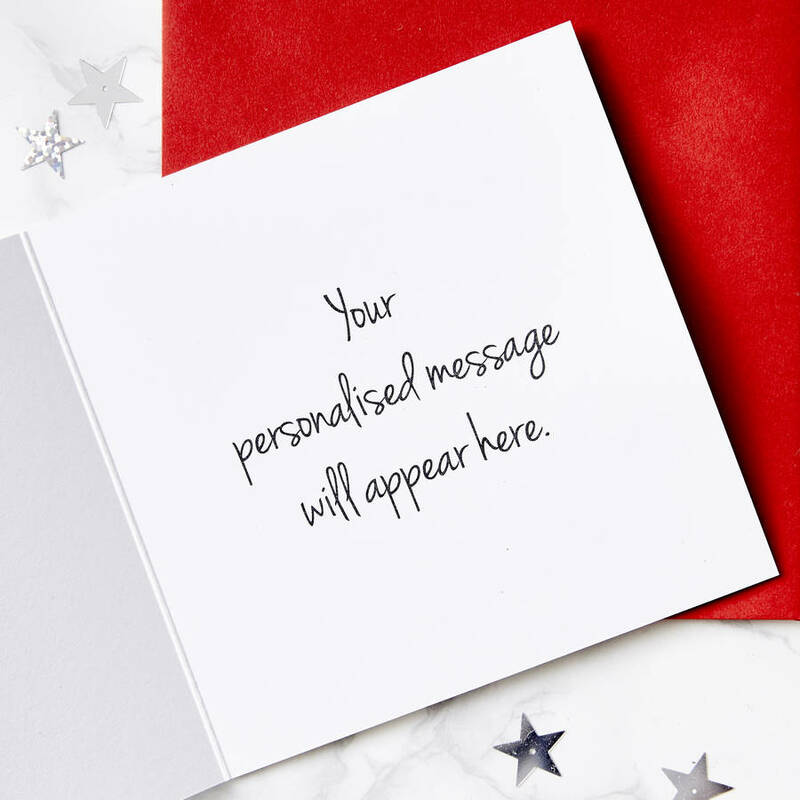 Envelope measures 13cm x 13cm.